Australia completed their Confederations Cup campaign in Russia with a loss, two draws, and plenty of encouragement for the crucial World Cup qualifier away to Japan on 31 August. The campaign kicked off with a 3-2 loss to Germany. It was a shocking first half, constantly exposed at the back, unable to keep the ball, clueless going forward, and lucky to be only 2-1 down at half time. Germany extended the lead to 3-1 on 48 minutes and then notably relaxed. While it’s true Australia began to assert more control and played much better, especially once they scored their second goal to bring it to 3-2 on 56 minutes, the Germans remained in general control. They dominated possession with 59%, doubled the shots on goal 18 to 9, and won more corners 4 to 1. The second match, against Cameroon, was a more even contest, with Australia accruing more possession with 54% and Cameroon more shots and corners, 19 to 5 and 8 to 2, respectively. While both sides fluffed key chances, Cameroon had the better ones and Australia could lament the poor goal-keeping for Cameroon’s goal. Both teams would have left the field believing they should have won. The third game, against Chile, was easily Australia’s best performance for ages, not just this tournament. Needing to win by 2 goals to advance to the semi finals, they deservedly led at half time only to miss a series of decent chances early in the second half, eventually for Chile to equalise. Coach Ange Postecoglou has been experimenting with 3 at the back for the past two World Cup qualifiers, for the 4-0 loss in an exhibition match against Brazil in Melbourne, and into this competition – to obvious mixed success. It was crucial that some progress be shown to boost confidence for the final two World Cup qualifiers of this final group phase. After the match in Japan, Australia’s final World Cup qualifier is against Thailand in Melbourne. While a win is obviously a must, ideally a draw in Japan is also required. Current situation sees Australia in third spot on goal difference (by one goal) on 16 points behind Saudi Arabia, and a point behind Japan on 17 points. Saudi Arabia will hope to win in Oman in their next match to take them to 19 points, which would leave Australia in a perilous state if they lost to Japan. Japan would be through on 20 points, with Saudi Arabia on 19 and Australia on 16 to fight for the final automatic spot. With Saudi Arabia vs Japan the final match for those teams, a draw there would see Australia rely on the playoffs regardless of the result against Thailand, and would ruin the current promotion about the match in Melbourne as being the first decisive home qualifier since Uruguay in 2005. That’s why a draw against Japan is so crucial. The group would be wide open with Saudi Arabia on 19, Japan on 18 and Australia on 17, meaning any win would be enough against Thailand as long as Saudi Arabia don’t beat Japan. Otherwise goal difference would matter, with Australia needing at least a two goal win over Thailand. Brazil came to the party and delivered a spectacular World Cup. It will be remembered for the exhilarating football, especially during the group phase, the people, Brazil itself and the meltdown of the Brazilian national team. Despite many accolades of a new found Germany that took the game to a new level, they will be mostly remembered as being the most polished and cohesive team of an entirely pragmatic bunch. Pragmatism continued as a theme for the World Cup itself. Everything worked as expected. People could get around to the venues easily. No real crowd troubles. No real security lapses. No real concerns with referees. No crazy interventions by FIFA. No controversies. That’s the mark of success and, with the quality of games and football and a deserving winner, that made it one of the great World Cups. Not the greatest. One of the greatest. More on that later. Germany’s win is still a bit perplexing. They weren’t heavily spruiked before the tournament, they remained inconspicuous throughout, and simply did enough in the final to win. If not for that 7-1 over Brazil in the semi final, the rapture over Germany’s success would be much lower. After brushing aside Portugal in the first group game, they relatively struggled against Ghana, USA, Algeria and France. Even Argentina had enough chances to win the final, and then we’re finding ways to laud another team. It takes a moment to ponder all the other teams and realise that there was no clear stand-out. Factor in the recent form of German club football, especially having six Bayern Munich players in a starting team, then Germany begins to make sense. That still doesn’t make them exciting, nor that they delivered an exciting new brand of football that will set a trend for the world. It seems that much of the elite football commentary are desperate to ascribe something special to Germany just so that it took something special to lift THEIR World Cup, rather than some less inspiring and perfunctory unit. The significant ground that Germany made and that the saw the heaviest investment was in talent and player development, of which there’s no dispute they had all round the most talented team on the pitch, and with plenty in reserve sitting on the bench. To describe the essence of Germany in this World Cup: clinical, professional and accomplished. No surprise that Brazil wouldn’t cope with the pressure in the semi final. The surprise is the magnitude of the capitulation. They were a total debacle and probably did themselves a favour. Brazil’s real problem – evident for some time now – is it needs an attitude adjustment. No team has a divine right to win. Even though this Brazilian team was quite poor in comparison to others, the lesson to learn is to get used to losing. All other nations go through phases of their national team being poor. It’s part of the journey that makes sport so intriguing. It’s not always about the winning. Fred and his cohorts delivered their nation a reality check. Better to be hammered in two successive games and learn your true place in the world than reach the final and lose to Argentina and proclaim it a national tragedy. Brazil would never recover from that, clouding itself in a belief the result was merely an injustice on their divine right to win. Now they know there’s no injustice. They received the right justice. They have serious footballing problems, and cultural problems. As Les Murray so eloquently observed, get back to the “jogo bonito”, and just let the results flow from there. Selling out your soul in the name of winning at all costs is not the way to guarantee true happiness for your people. It’s a farce. You’re in a knock-out tournament. When you lose, you’re knocked out, that’s it. No one cares about a dopey third-placed medal, and barely anyone remembers. All World Cup aspirations are to reach the final and then hope to win. To render another defeat on a team that’s already had their dream shattered, it’s soul destroying. Until one team makes a real issue of it, the charade of the match will continue. Netherland’s coach Louis van Gaal mocked the play-off pre-match, then preceded to field a strong team and show joy in winning it. Maybe that’s more to do with getting in a kick on Brazil while they are down; you rarely get such opportunities to record wins over Brazil. One brave team needs to make the match a farce and treat it with disdain. Field all reserve players and just sit around the backline when in possession. Great for the viewers at home to see the goal-line technology in action. In practice, it was never needed. In one match the referee might have waited for the confirmation (apparently that only takes 1 second) of a ball that was clearly over before the goalie dragged it back. There’s countless wrong offside calls that deny goals and goal chances in in every game that should be addressed, yet FIFA focuses on something that might fix a refereeing error once every 20 years? While the referees did falsely call many plays as offside, credit actually must be give overall as countless times the line-ball decisions were allowed. Some plays might have been a whisker offside. All fine because FIFA dictates to favour the attacker. It then became depressing that even when the referees got it right, the commentators would dwell about a potential offside. Geez. Even if you want to ignore FIFA’s edict, the spirit of the law was to stop strikers loitering in front of the goal. It was never meant for the cynical and tactical device that it has become whereby anyone with a eyebrow offside must be halted for being a rampant cheat and grabbing a gargantuan advantage to score. Let it go. In fact, FIFA should amend the real that offside is only when there’s clear space between the body of the attacker and the last defender. Meaning, the attacker can be a full body-width “offside” under the current goal-denying culture of the game. Shock, horror, Brazil 2014 really should be remembered for the excellent refereeing. That won’t happen because excellence in refereeing means they are oblivious to our senses. It’s only when they are poor that the referees are noticed. While they can never be 100% correct, even if video referral were added, they were almost as correct as they could realistically get. The worst decision and the best decision I saw came in one match. The best being the penalty and yellow card when Arjen Robben was fouled early in the third-placed game. The commentator, as did many pundits, said it must be a red and the foul was outside the box. No. Being given a penalty actually provides a greater goal scoring chance, not removing one, while Robben fell inside the box. Let’s say you want to adjudge it as outside, then yes it would be a red because a goal chance was snuffed. So, after 3 minutes, we have no goal for the Dutch and Brazil a man down for the rest of the match, or do you want the Dutch a goal up and Brazil will a full team to try retrieve the game? I know the outcome I want: the one that is best for football. The worst refereeing decision was when Oscar was given a yellow when it was a clear foul on him. The score was 2-0 when it potentially it’s 2-1. While the referee excelled with the Robben decision to preserve the game, he totally fluffed the one on Oscar to prevent it really coming alive. Since I was holiday just prior to the World Cup, my predictions were made as the group phase was well under way. The draw is always the key, and that allowed three out of the four semi finalists to be predicted. The miss was Germany, who were scheduled to meet France in the quarter final. France seemed to be the hot team of the tournament while Germany struggled after their initial 4-0 rout of Portugal, so favoured France. From there I expected France to humble Brazil and then there’d be a close final with Argentina. Initially leaving the result to fate as to whichever team was in dark blue due to a clash of strips, it was later realised there would be no clash of home strips so France would be dark blue and Argentina their light stripes. France the world champions. In hindsight, the only change I’d have made had I predicted before the tournament was Spain to win their group and be in Netherland’s spot of the draw, so a Spain vs Argentina semi final a lock. The other side would be Brazil vs Netherlands in the R16 game, and most likely would have picked Germany to reach the semi. France struggled to qualify and would never have been on my radar. The unknown is Italy. Had they won their group they’d have faced Spain in the quarter final. Had they been second, it would have been Brazil or Netherlands in a QF. Either way, I’d have certainly expected Spain to triumph in their semi final, and most like Brazil to eke their way into theirs. While always believing Brazil will fold under the pressure somewhere (most likely the SF), that meant a Germany vs Spain final. After finally seeing the entire goal from Tim Cahill, it’s number one because of the build-up from kick-off and for the purity of execution of a shot that had an ultra high difficulty level. It triumphs James Rodriguez’s for Colombia for that was more a pot-shot and only made more spectacular with the controlled juggle that preceded it. I rate it third overall. David Luiz’s stunning free kick for Brazil against Colombia is second because it’s far more deliberate and skilful, and, again, the execution was sublime for something of a really high difficulty level. Van Persie’s flying header for Netherlands against Spain in fourth. Missing in many lists is David Villa’s goal against Australia. On top of the delightful back-heel sweep to score, the goal was preceded by a 15-pass build-up that ripped the entire Australian team apart. These expansive and elaborately constructed goals are far more satisfying than the long range pop-shots. While they are spectacular, they are largely hit or miss, with 90% of them heading into the stands. Sweeping counter attacks are also special. France delivered a few of those, especially against Switzerland, Mexico might have delivered one against Croatia, Holland hit Chile with one, and there’s a few others I can’t remember. Either way, the onus should be more on broader footballing elements when adjudicating best goals. These top 10 lists really should have a mix of goals in them, not just the long range bombs. No doubt it’s Arjen Robben of Netherlands. It was the spark of that team and by far the tournament’s most dangerous player, and the tournament’s most dangerous player. The fact Argentina’s Lionel Messi actually one the “Golden Ball” is just stupid politically correctness of FIFA. The world’s best player of his generation had to be rewarded somehow if his team could not win the Cup itself. The simply fact of the matter is that when Messi had the chance to score a goal in the final and deliver Argentina the World Cup, he fluffed it. Whereas Robben delivered all the time. As did Colombia’s James Rodriguez. He really carried that team more than anyone carried a team, and was the tournament’s leading goal scorer. He’s second pick, so Messi at least third. For all Brazil’s heartache, they did produce the most abiding moment of the World Cup: the disbelief on the faces of their fans in the crowd. As Germany piled up the goals, it really was stunned disbelief and the feeling of watching a trainwreck in slow motion. How much more could they take? Then it was just resignation to defeat, and pleas to stop the punishment. Enough damage had been done. Second to Brazil would be the demolition of Spain by the Netherlands. While you could attribute that game as just a freak of sports, especially since many of the goals were circumstantial rather than Spain being actually dismantled or played ultra bad like Brazil did, the follow up loss of 2-0 to Chile confirmed a reign prematurely halted. That match also impacted directly on Australia, eliminating them from the competition. Up until that point, had Spain beaten Chile, Australia was still alive, needing to beat Spain in their final match. FIFA’s a joke. With the paucity of yellow cards, media was criticising FIFA for allowing referees to be too lenient so to prevent the stars of the sport being suspended from games. So guess who’s wiping yellow cards before the semi finals start to prevent any star players being suspended for the final on a second yellow? FIFA! This was rushed in for the last World Cup, and remains for this one. UEFA just announced a similar rule for the Champions League. Yellow cards will always remain problematic because they are no deterrent. Clearly the powers that be also don’t like players being suspended for future – especially bigger – games. Not only are they denying the player a golden moment in life, they are rewarding a future team that was irrelevant to the game in which the suspension occurred. The answer is simple: If a red card means permanent expulsion, a yellow should be a temporary one. At least 10 minutes as a start, maybe 15 to really have the cards respected and the players curtail poor behaviour. That way the team is immediately and properly punish, while the infringed team gets the direct reward of a “power play” of sorts. Sad to say, that’s the culture of the sport in South America – to cheat. We hear it all the time, it’s intrinsic to South and Central American teams to beat authority, to bend rules, even break rules, all to get one up. This “assault” in the quarter final that led to a fractured vertebrae is no different. The motive was to beat authority, not to injure Neymar. It looked harmless; only the result made it problematic, hence calls for a red card or some sort of post match punishment. Let’s look at it if it was the first minute and the foul had no consequences of injury, and the Colombian is red-carded. Suddenly we’re all hysterical that the game was ruined by the referee’s over-zealous action, and that Brazil could just breeze past Colombia. Sorry, we can’t have it both ways. It was a dirty game in which Brazil committed 31 fouls. We either disdain this culture of cheating and applaud the courage of referees to give red cards, or we continue as normal. As much as Asia’s results were poor of winning no games and achieving just 3 draws, this World Cup is a reality check that Europe and South America still dominate the sport. Argentina vs Germany in the final. Yup, we’ve never see that before. Or Brazil and Netherlands in the semi finals. While it’s easy to pick on Asia’s teams in last place of their groups, let’s not forget that seven of Europe’s 13 teams failed too, as did 3 of Africa’s. The two African teams that progressed had Asian teams in their group, and were then promptly beaten in R16 by Europeans. In the test against Europe and South America, Africa failed just as much as Asia did. Then you really should exclude Algeria, because they are more an Arab team and benefiting from so many French born players. From black Africa, the region Pele famously predicted they’d win the World Cup by 2000, they went backwards. CONCACAF continue to be just two teams: USA and Mexico. Both eliminated in R16 too. In fact, Mexico has never progressed past R16, while USA’s only success was in 2002. Of Costa Rica, the third team that reached the knockout stage, only once in 20 years you might see that happen. Then they were lucky not be bundled out by Greece. The solution? Nothing. It’s a tournament to represent the world, not necessarily the best 32. Otherwise, you should have a world qualifying phase, rather than by confederation and the squabble for spots. Maybe there should be a world qualifying phase? Split the world into 4 regions: Europe, Africa, Asia/Oceania, Americas. Each get four direct spots, which could be based on their continental championships. Then you have 8 world groups containing a team from each region. Play round robin home and away. The winners and best 7 second placed teams go to the World Cup. The final spot is reserved for the host. This process would do more to help the weaker regions by playing serious games and against serious opponents, rather than mostly beating up their own to qualify. It is about the results. You can’t tell anyone that had Australia been hammered 5-0 in every game that we’d have learnt anything or, indeed, been happy with “the result”. The fact Australia returned acceptable losses, pushing Chile and Netherlands in the process, is a “good result”. That’s because Australia exceeded expectations. So when you say “results don’t matter”, the real implication is that “unrealistic results don’t matter”. Reality is that if you’re not playing for results at major tournaments, then why bother to show up? As we saw from Ange Postecoglou and some of the boys and many fans like myself, the fact Australia did not get a tangible result of at least 1 point or even a win, it was very disappointing. Missed opportunities will be long rued – especially that game against the Dutch in which Australia briefly led 2-1. While such losses will be tolerated for this World Cup given the inexperience of the team, it won’t be for the next. The only flaw with the coverage was Martin Tyler in the commentary box. He saps the energy from any game with his inane waffling. He’s been poor for 20 years now and the way he drifts off, it’s now far more frequent and lengthy these days. The best case in point was Germany’s seventh goal against Brazil. Germany’s in the attacking third and Tyler is waffling on, then suddenly there’s a goal and he needs to reanimate again. He should have been already animated. SBS probably doesn’t get much choice with Tyler, as he’d be part of a generic pool of English commentators for the English speaking world. For an area that Australia could control, Craig Foster was a trainwreck as “special comments”, or whatever you call the audible verbal spasms he makes. Especially against Spain, the jingoistic coaching and cheering on every play was a national embarrassment and a disgrace. How about a touch of professionalism? He’d probably be the first to mock the patriotic commentary that Channel 9 does for cricket, and here he is acting like an infant. With Les Murray sadly now hosting his last World Cup, let’s hope Fozz is consigned to those more static hosting duties. The bonus for Australia is that there only three games in which Australia had to tolerate Fozz whereas Tyler was up almost every match day. Other than the commentary debacles, everything was superb. The vision, all the studio hosts and studio experts and the support shows (sad that no World Cup show on Monday to review, hum, the world cup final!) – SBS might have delivered the best coverage of any major sporting event Australia has seen. All other Australian media was brilliant too, with News Ltd and Fairfax having comprehensive coverage, not to mention pay-TV Fox Sports having daily shows. Australia was so spoiled this time. It was amazing. The Best Ever World Cup? Was it a great World Cup? Yes. Was it the best ever? No. I still rate USA 94 as the best ever World Cup. After a gripping group stage, the knockout stage of Brazil 2014 was riddled with boring draws and predictable results. For all the talk of unpredictable results, that was mostly in the group stage. Come the knockout stage it was situation normal. All the group winners won their R16 match – the first time that had never happened. Of the lesser lights like Costa Rica and Belgium that made quarter finals, they couldn’t progress, with the semi finals involving traditional big guns of Brazil, Argentina, Germany and Netherlands, with the final Germany vs Argentina. Hardly anything to portend a new world order in football. In contrast, USA had an equally vibrant group stage, followed by an amazing knockout phase. Goals were as prolific with USA 94 averaging 2.6 goals per game in the round robin compared to 2.8 for Brazil 2014. That marginal difference is explained by the greater number of blow-outs in Brazil, not higher scoring competitive matches. Portugal, Spain, Cameroon, Honduras and Australia all conceded at least seven goals, while in USA only Cameroon (mostly from one game) and Greece conceded at least 7 goals. In the knockout phase, Brazil 2014 returned a measly 2.2 goals per game (1.8 if you ignore the German whitewash of Brazil in the semi final), compared to 3 goals per game at USA 94. Even the memorable knockout matches, there were none in Brazil, compared to classics at USA 94 like Romania v Argentina, Italy v Nigeria, Netherlands v Brazil and Bulgaria v Germany. If not for the rubbish final, USA 94 would have been just about perfect. Mexico 1986 probably comes second of those World Cups I’ve seen, with Brazil 2014 in third. If I’m to factor in Australia’s involvement, Germany 2006 will always have a special place in the heart. After international football, the Olympics are the Socceroo Realm’s other great passion. That’s because, like football, the prestige of winning and representing your country is so huge. While much of the excitement of gold medals by Australia is diminished in the recent 15 years because Australia wins so many, the individual stories of specific triumphs still resonate. Indeed, after Australia’s appalling start to London, the sailors getting the nation’s first gold, and then Sally Pearson and Anna Meares adding to it not long after, were really moments to savour. Given that Australia is a minor player, the Winter Games are a different beast. For the purity of sport, that actually translates quite well because one of the big criticisms of the summer Games is that focus is so nationalistic. You don’t see athletes from other nations, or even experience entire slabs of a sporting event, because the broadcaster is enamoured with showing the cursory Australian in 30th spot about to throw their javelin, or the cursory Australian being hammered by the Chinese at table tennis and about to lose their final few points. Sochi 2014 was the first Games to merge the two. Talk of Australia with “12 medal” chances was optimistic in the extreme, with those chances realistically being “best day” scenarios of the athlete excelling and bad luck hitting a few opponents. The real expectation was 4, as identified by the highly accurate and well researched American magazine, Sports Illustrated. Of course, so many potential medal hopes still meant many Australians in action, and the potential demise of large slabs of sporting drama to be consigned to news clippings. Conveniently, pay-TV has emerged to save fans in Australia from this never ending flag waving “oi oi oi” parochialism. Even though Channel 10 chose internet streaming for its supplementary coverage, not the four pay-TV stations that Channel 9 offered 4 years ago, their second free channel, One HD proved an adequate companion. Their overall telecast was good, with decent slabs of live viewing, excellent interviews and, given Australia’s obvious lack of abundant resources, surprisingly adequate commentators. After Melanie McLaughlin’s acquisition of a nasally bogan accent to fit in with the majority of on-screen Channel 10 personnel (she was recruited from Fox Sports where she sounded far more refined), the only hiccup I saw was going to an advertising break when the Austrian World Champion in the men’s slalom was about to make his run. Yes, his run was fastest, and stayed fastest of the remaining seven skiers for gold. Showing his run after the event as a replay, it doesn’t quite offer the same level of excitement. Also great about the Winter Games is the totally different types of athletes, sports and vistas on offer. Speed skating (especially short track), cross country skiing and biathlon produce some of the most exciting direct racing possible. Far more exciting than people running around an oval track or swimming up and down a pool. Without the Winter Olympics, how else could I have a favourite cross-country skier, Justyna Kowalczyk of Poland? In Vancouver it took her until the 30km classical cross-country, the very last event, to shake off the Norwegians and finally win a gold. In Sochi she managed it early on, in the 10km classical, to become a dual gold medallist. There’s also the “Generation Y” sports like snowboarding and ski-cross to add more relevance for the youth of today, and also easier consumption to traditional alpine events that are decided by times and require dedicated viewing of the entire event to appreciate the competition. Sochi was the first Olympics to return to Russia since Moscow in 1980. No expense was spared with virtually everything built from scratch, costing over $50b. To put that in perspective, London 2012 cost $12b – for a far larger Games. Being in Russia also presented the political controversy you’d expect, especially anti-gay laws. While the law against “gay propaganda” was new, Russia has always been anti-gay, so it’s mysterious that only on the dawn of the event that these issues become a problem – a repeat of the case with China’s Games of 2008 and the issue of Tibet. Terrorism was also a worry. Russian president Vladimir Putin would hear none of it. Nothing would stop these Games from being a success. Australia finished with two silver and one bronze. Two of those were from expected sources, the other not so expected. They also told a tale in approach to winning those medals. David Morris, barely a top 12 hope in men’s aerials, approached his event with a strategy to achieve the best possible result. While other athletes could still out-score him on higher technical jumps, he knew he couldn’t compete directly with them so put himself in the best possible situation to be a “nuisance” to them, by sticking his jumps, ensuring they had to perform. Morris landed cleanly all his jumps as he progressed through the last 12, to the last 8 (just) and to the last four (just). Once there, he landed his “money jump” to score 110.41 and give the remaining athletes no leeway for mistakes. Anton Kushnir, the Belarussian favourite, was next, and nailed his higher difficulty jump, scoring 134.50 to annihilate Morris’ score as expected. That put extra pressure on the remaining to jumpers, both Chinese. The first didn’t land cleanly, Bronze to Morris. The second didn’t land cleanly, Silver to Morris. Torah Bright backed up her gold from Vancouver to nail silver in Sochi. Eerily, her performances were similar, crashing her first run, before completing the second. The only disappointment is that her first run was shaping up much better and would have won the gold easily. Her second, by many experts, was still good enough for gold, failing by just .25 points – the closest possible margin. The winner, Kaitlyn Farrington of the USA, didn’t seem to have a run quite of the same quality. It was close, and as Torah said, that’s the nature of judged sports. Even then, there’s some residual regret that could have done better. The cavalier approach that the snowboarders take to the events is difficult to rationalise compared to the stoic concentration you see of athletes in other sports. While it could just be a coping mechanism for the stress of competition, it could also just mean that tiny fraction of effort and concentration lost that costs you a gold. Torah also undertook two new events: slope-style and boardercross, and apparently did no training at all for halfpipe in the two months prior to the Games. She preferred to concentrate on boardercross in which she was only a late inclusion after injuries to other competitors before the Games and entered lowest ranked overall. She failed to progress from the first knockout race. If the cavalier approach didn’t hurt, maybe the reduced training did, especially for that first run crash. Compared to Vancouver, Torah’s run didn’t seem as polished nor did it match her score in qualifying in Sochi, where she returned the highest score of the entire contest – 93.00 (out of a possible 100). Her silver medal winning run scored 91.50. In Vancouver 2010 she scored 45.00 under a different scoring system, after scoring 45.8 in qualifying. Torah was at the centre of the “team outcast” affair, claiming other athletes were getting undeserved funding priority over others. World Champion Alex Pullin was singled out as “the chosen one” ahead of other snowboarders fighting their way through the ranks, and indeed, often already top 10 world ranked athletes. During halfpipe training at the Games Torah was critical of its shape, which only fed the selfish, spoilt narrative Cooper, along with several media trying to validate their character assassinations of Bright, was trying to push. Except, all athletes complained about the shape of the halfpipe at the time, and it was promptly fixed. The criticism from Cooper was unjust. Jacqui Cooper was an Olympic flop and should be last to talk about “results” and “role models”. Due to the “team outcast” affair, funding models across the winter sports will be examined. Lydia Lassila, queen of aerials in Vancouver, sorry to say, was a disappointment here. Not in the medal, in the approach. The whole week the story proliferated of her performing an unprecedented quad-twisting jump. No woman had done it in competition; it was only the domain of the men, who were now creeping into the realm of 5 twists for a jump. Lassila only landed one in training, and that was barely a landing, and would not have sufficed as a good scoring jump in the Games. Coming into the final four of the final, the leading jump was only 99.01 with only one jumper left after Lassila. Given she scored 214 for two jumps under a different system in Vancouver, a score just over 100 with one of her triple twisting jumps was easily a gold medal, or silver at worst. No, toss away the highest percentage chance and go for the lowest percentage jump for some sort of glory to the ego. While she would have a certain gold via a huge margin had she nailed it, they don’t reward any extra for that. Surely it’s best to stick with the “money jump” in the final? Just ask David Morris! The thing is, there’s countless World Cup events during the season that a quad-twist could be attempted “in competition”. Why do it at the biggest event of all that only comes across once ever four years? It actually smacks of an athlete under extreme pressure, not wanting to fail. By attempting the impossible jump it actually is impossible to fail. No one expects her to land it, so if she does, it becomes a miracle. If you fail, at least “you had a go” and “left nothing on the table”. It’s very typical of the Australian “bully sports pscyche”. The response to a challenge is often to bully the opposition and try dominate the task. Cricketers are the worst by often blazing away in tight run chases, swimmers are next by starting races too hard and using “it’s a racing meet” as an excuse for the loss, the Socceroos began to show hints of it in Asian World Cup qualifiers, and now we see it creep elsewhere. The only saving grace of Lassila’s bizarre tactics is that her good friend Alla Tsuper of Belarus won gold. It was Tsuper’s fifth Games and finally she snagged the gold after so many years of dominating the sport and, like Lassila, having a baby. The tears that Lassila shed after the competition were primarily for Tsuper. In that sense it was a storybook finish, as Lassila already had a gold from Vancouver, now her friend has one. Strangely, Channel 10 commentators didn’t even recognise the nature of these tears, figuring it was sadness and disappointment at failure. As if! Maybe had one of the Chinese skiiers snatched the gold instead of Tsuper, then the story not quite the happy ending, and then would come the niggling regret. Alex “Chumpy” Pullin. He doesn’t know how he got that nickname as given during childhood. It’s clear now. He’s a chump! Twice world champion, twice World Cup winner, twice favourite for Olympic Gold, twice fastest in qualifying, twice a monumental flop. He fell innocuously during the quarter-finals of racing, just like in Vancouver. What gives? Well, he stopped training in the lead-up to the Games to avoid any chance of injury. Say what? He stopped training in the lead-up to the Games to avoid any chance of injury. Yes! He stopped training in the lead-up to the Games to avoid any chance of injury. Even though Torah Bright ceased training for her pet event of halfpipe, she still did continue to train on snowboard for her other two events. That at least kept her sharp for competition. Clearly the strategy didn’t work for the Chumpster. No wonder Torah and the other snowboards were questioning the funding system. It actually costs nothing not to train. Pullin wasn’t the only one to fall. 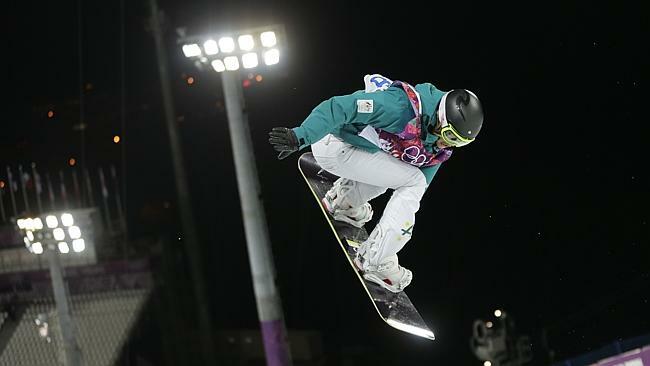 Virtually the entire snowboard and ski cross events were beset by falling Australian athletes. It’s enough to give anyone the feeling that Australia and winter sports are not a natural fit. Wait! One might think Vladimir Putin is the biggest chump of Sochi 2014. He’s not. Despite all the talk of terrorism, anti-gay propaganda and lack of snow, Russia and Putin get the last laugh. Russia won the medal tally, kept all venues secure, managed to reverse global warming for several week, and curtailed any attempts for mass demonstrations or even athletes making a stand against Russia’s poor gay rights. They did it with all the control you’d expect from a government led by a former KGB agent that it was almost invisible. Almost, because adding the names “Viktor” to recruits An (short track speed skating) and Wild (snowboard parallel slalom) did not quite assuage the reality of foreigners (Korea and USA, respectively) delivering 5 of Russia’s 13 gold medals. Travelling too far away from the Olympic venues and Sochi in general, you’d also have been greeted with a “ring of steel” guarding the city. A new event was added of team figure skating that delivered a certain gold individually for the nation and to the ten individual Russian skaters that comprised the team. Talk about spreading the wealth. To reduce suggestions of a scam, the luge was also given a team event, which Germany somehow won after earlier winning all the individual events that comprised the team event. All that sliding on your back, you’d think that would tire a team out. Obviously not. To think, someone gets paid for dreaming up these events. What next, Short Track Taekwondo at PyeongChang for 2018? If Russia made one mistake in their run for medal tally glory, it was not to recruit the entire Dutch speed skating team. The Dutch won over 70% of all medals for the sport: 8 gold, 7 silver and 8 bronze. Their one and only other medal was a bronze from short track speed skating. This must have been one of those Dutch skaters showing great agility on the inner warm-up ring so the Dutch coaches decided to throw the athlete onto an actual short track. No suggestions yet of a team speed skating event that incorporates all events and awards every Dutch speed skater a gold medal. Probably because nearly all of them won one anyway. Of course, there was one Russian failure. That was ice hockey in which Russia lost to Finland in the quarter finals. The country threatened to go into mourning while Putin scurried away to figure out the ramifications for the team and how to console the nation. The solution was heavy make-up to prevent any cracks or emotion in his pristine, stoic face emerging. Before Putin ever needed to present himself for potential public embarrassment, up pops the Americans to be hammered 5-0 by Finland in the bronze medal game. Russia sleeps well at night with the knowledge that whatever Russia stinks at, USA stinks worse. Nah nah-nah nah-nah nah. Beyond the great and glorious Games of Russian glory, slick organisation and toilets that actually do work, Putin saved his coup de gras for after the Games. As the world absorbs the waft of post Olympic harmony, Putin moves mobilises Russian troops in Crimean region of Ukraine. It’s been totally orchestrated by Putin, starting by revving up Russians in Ukraine to resist moves by Ukraine to join the European Union after a law was just passed to make Ukrainian the sole official language. Ukrainians and Russians clash outside the parliament building, the Russian friendly president is deposed, the former opposition leader is released from jail, and a more sympathetic president installed as interim. Russians in Crimea feel threatened, in moves Putin, Russian troops take control of the region, the region orchestrates a phony election to secede, it won’t have any legitimacy, will the region be annexed by Russia, we’ll soon know. Having visited the region, most particularly Estonia and Latvia, one thing is certain about Russians: they will always regard themselves as Russian. They’re a gruff people, contemptuous of the locals. The Baltic states can be thankful for being so small and not as geographically important, and being members of both NATO and the European Union offers plenty of protection. Crimea is on the Black Sea, home to Russia’s southern naval fleet, so important militarily. Ukraine’s attempt to join the EU and further dismantle Russian grip in Europe, precipitated this entire affair. One thing is certain about Putin: he will always regard himself as Putin. He’s a gruff person, contemptuous of everybody and everything else. The Olympics, the anti-gay laws – it’s all been about Russian grandstanding to antagonise the west, especially the USA. Barack Obama snubbing the Olympics was Putin’s goal, and now with the Olympics over, Putin makes his big move. While Obama and the west stumble about responding to Crimea, Putin’s simply reveling in his power. Much of Europe depends on Russia for oil and gas so are constrained to act, the Americans are too weary and lack any real strategy to intercede, and Ukraine ultimately would be better served without the millions of Russians forming part of their country. Putin gets the Games, gets the Glory and gets Crimea (if he really wants it). The biggest chumps of Sochi 2014 prove to be the rest of the world. Putin thanks you for your attention.